The internet has become very essential in our everyday lives hence contribute to the smooth and effective flow of information and also aid in the communication. Before now, information, communication, entertainment and even business transactions were not as smooth, efficient and effective as they are today all thanks to Information Communications Technology (ICT). To be completely up to date with the ever changing world, stay relevant in the scheme of things in your chosen profession, bridge the communication gap that exists beyond borders and communicate effectively, perform seamless business transactions and also be entertained, you need to stay connected to the internet. The benefits of the internet is so much numerous that space and time will fail me should I try explaining them here, but in your little sphere of existence you can count more ways than not the internet has benefited you in positive ways. Instant messaging (Whatsapp, Skype, Wechat, Telegram etc), video calls, online banking, E-commerce, Emails, E-learning, E-jobs to mention but a few. To benefit from all that the internet bring, you need to be subscribed to Internet Data Bundle Plan. Considering the huge demand for internet powered operations and the cost involved in subscribing to various data bundle subscriptions, one is left spending huge chunks of money on data bundle subscriptions. 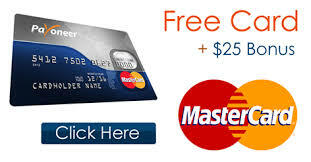 That is not suppose to be so as internet data bundle plans should be very affordable and pocket friendly. That is why we have partnered with MTN Nigeria to bring to you MTN SME Data Bundle Plan. The deal is very simple, we buy huge data bundle plans from MTN through the SME data bundle plan window and sell it to end users at a very cheap and discounted rate unlike what is obtainable directly from MTN. For example, subscribing to MTN 1GB data bundle plan costs #1,000 while getting the same amount of data, 1GB, through our MTN SME data service costs just #600. Yes, that is a whooping 40% discount and it does not get better than that. To make the deal juicer, monthly data bundle plans directly from MTN have 30days validity while our SME data bundle plans have a validity of 90DAYS. 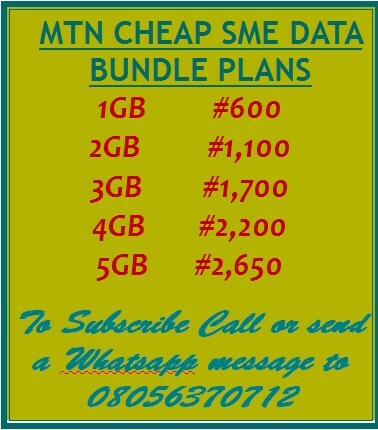 Here Is The Price Breakdown Of Our CHEAP MTN SME DATA BUNDLE PLANS. 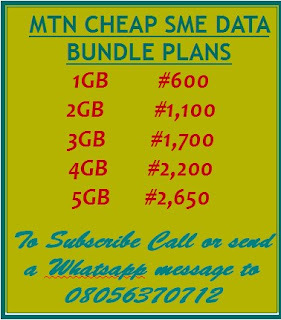 To subscribe to any of our cheap MTN SME data bundle simply CALL or SEND a WHATSAPP MESSAGE to 08056370712. Please kindly note that payment for our MTN SME DATA BUNDLE PLAN is through Bank payment, Online banking, ATM Transfers. Recharge Card/Airtime transfer is acceptable only in extreme cases of which attracts an extra fee of 20% of the original price of the data plan you are buying. If you have questions or you need more explanations on things that are not very clear to you, kindly send them through the comment box below, Call or send me a whatsapp message on 08056370712. Please kindly use the social media buttons (Facebook, Twitter etc) to share this post to you friends, colleagues and relatives so that they can also enjoy this huge discounted SME data bundle plan on offer.